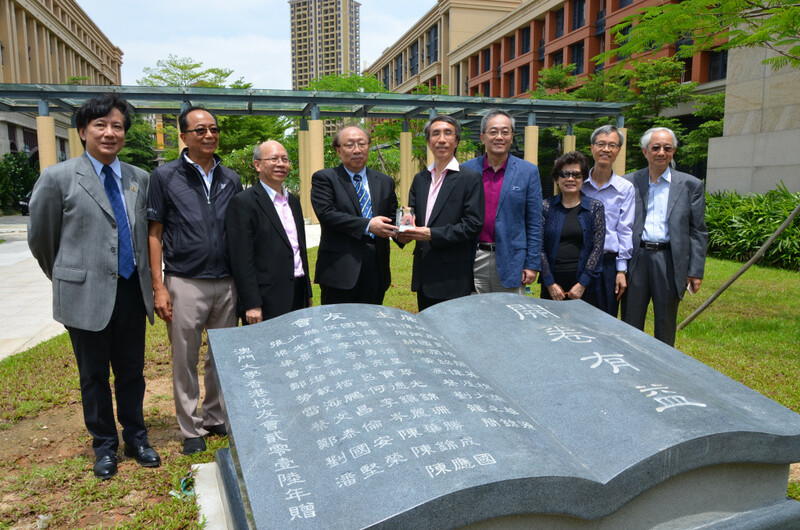 To show gratitude towards the Alma Mater for education and nurture, the University of Macau (Hong Kong) Alumni Association (UMHKAA) presented a stone tablet to the University, inscribed with Chinese saying: Reading enriches the mind, in an effort to encourage students to read. 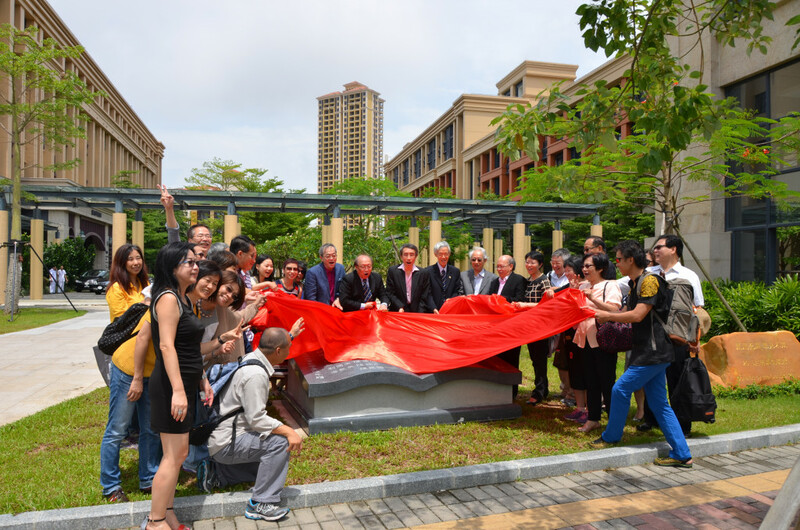 The ribbon cutting and unveiling ceremony of the inscribed stone tablet was held at the Alumni Avenue in the morning of 28 May 2016. The day marks the UM Congregation 2016 and this year marks the 35th anniversary of UM, all make this ceremony a memorable and meaningful one. 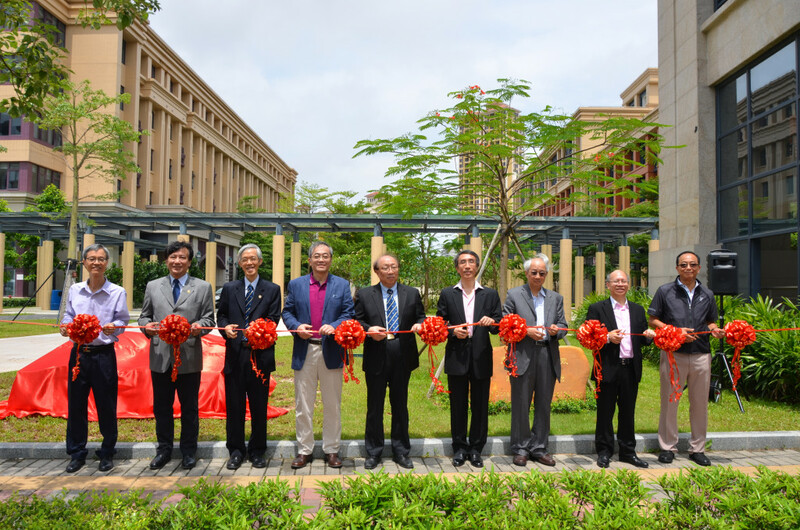 The ribbon cutting ceremony was officiated by Rector Prof. Wei Zhao, Vice Rector of Student Affairs Prof. Haydn Chen, Register Paul Pang, Director of ADO Vong Peng Chun, and Chairman of UMHKAA Dr. Joseph Tsui, Vice-Chairman Gowin Ng, Secretary Lawrence Lee, Treasure Albert Long, and Mr. To Wai Keung. After that, the officiating guests together with the delegation of UMHKAA unveiled the stone. 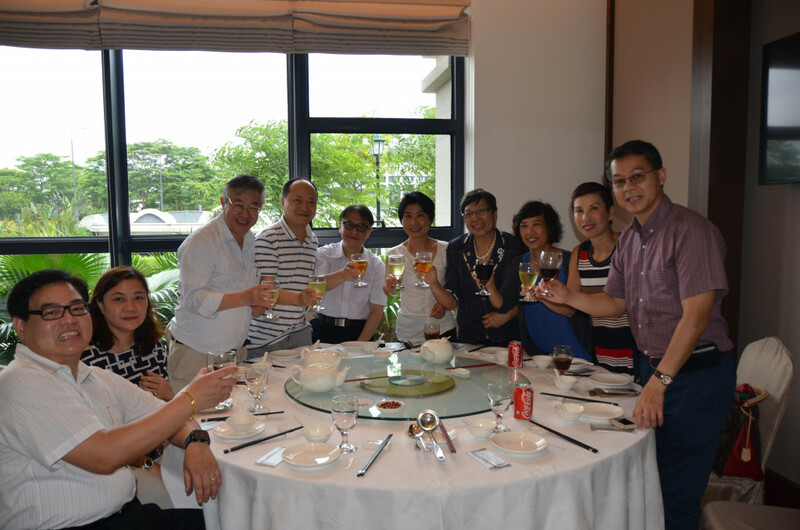 As a token of thanks, ADO has arranged an appreciation lunch for the delegations of the UMHKAA. 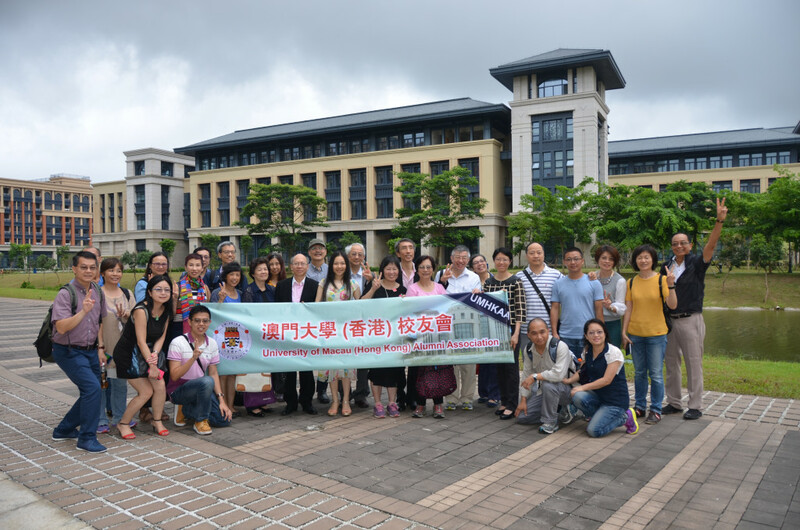 After the lunch, The delegations were invited to a campus tour to the University Mall, Anthony Lau Building and the UM Wu Yee Sun Library. The inscribed stone tablet presented by UMHKAA is located at the Alumni Avenue and neighbored with trees planted by 2015 & 2016 UM graduates. 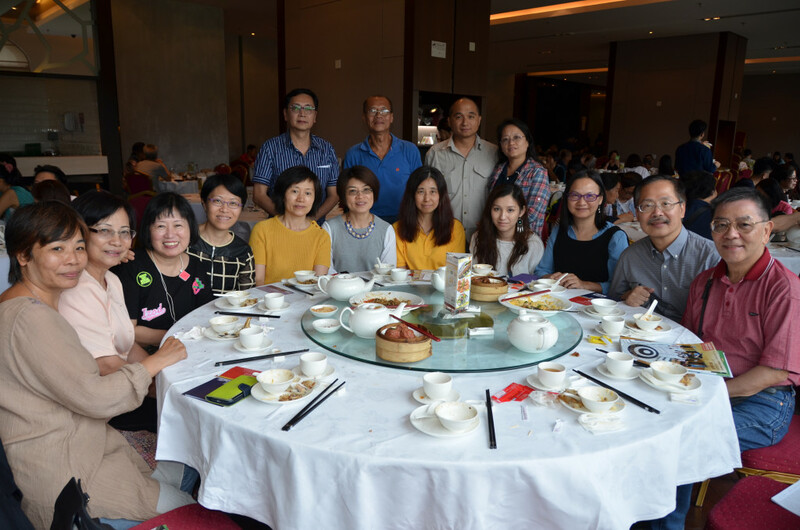 The University hopes that every generation of graduates can leave on the avenue something (e.g. a tree, a stone) that they think can best represent their memories of their lives on the campus, showing care and support to the Alma Mater.